Michel de Montaigne begins his essay Of Cannibals with a discussion of King Pyrrhus and his recollection of encounters with the Romans. "I don't know, he says, what kind of barbarians these are (for so the Greeks called all the foreign nations), but in the disposition of their armies that I see, there is no barbarity whatsoever." To boil down the essence of the French essayist into a few words only is a difficult task, but Pyrrhus demonstrates the meat of Of Cannibals thousands of years prior to its original penning by an old french man. There’s a danger in ascribing barbarism or simplicity to a people that are not much known or known poorly within your group. Pyrrhus went on to be absolutely demolished in the course of his victories against the Romans, so much so that his name is associated with a type of victory that every military general has avoided ever since. Cool. So Ptolemy introduced the western world to the Chinese and, in effect, set us up to describe things as Sino this or Sino that. At this point, an astute reader will ask the most important question: who gives a hoot about why the Chinese are called Chinese? The reason I chose to describe the first encounter between the Romans and Pyrrhus is an instructive one: the barbarians had their own name. China, for westerners, has often existed as little more than a novelty. When the Romans and Greeks were trading for silk from the far east, it was comically difficult to get an answer as to where the silk actually came from. The people buying silk that had originated from China often knew that it was from far away, but having traded hands many times before getting to the merchant they had only the most general sense of where it came from and who those original creators of the wonderful substance were. The ambiguity found in the etymological roots of the word China are not an accident, but rather the result of genuine confusion about where and what these people were. Stubbornness prevails, however, and after centuries of repetition the name China stuck in the mind of westerners. Maybe, it is posited, the original westerner or middle easterner who met a Chinese trader or delegate met someone who pointed at himself and said Qin, referring to the dynasty he lived under. That, however, is not the same as saying what your country is called. To understand the comical level of misunderstanding that may have happened, it would be the equivalent of the Chinese referring to the Romans exclusively as the Julius people. Still, though, the question can be posed: who cares what they're called? We all know what we mean when we say Chinese. First, I doubt that many people do understand, and second, it's generally considered nice to call someone by their actual name rather than something you misheard them say one time. To go on calling them that thing you heard them say one time for over two thousand years is, to say the least, rude. What, then, do the Chinese like to call themselves? The answer is complicated, largely because China is both very large and has existed in some form or another for quite a while. Let us consider a few of the different names the people of China have gone by in the past, and ultimately come to what they call themselves now. Neat. 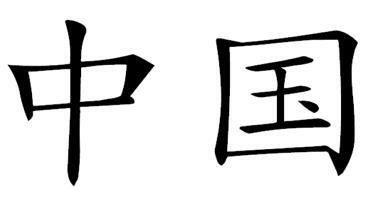 The pinyin for that is Zhōngguó. It's made up of two characters, as the discerning individual might have guessed. The first means central and the second means state. This can be (and normally is) translated as middle kingdom. Don't get ahead of yourself here, though, because there's a bit more backstory on what that means and when its been used. The short story is this: that particular term has been used for a long time, but often the ruling state (there were multiple, sometimes many, states at any given time) would just tell everyone to call the country they were in the name of the dynasty. This leads to things like the Qin, Tang, Xia, and more dynasties being talked about. I don't want to get into the nitty gritty too much on the entire history of the Middle Kingdom or the infinitude of names it has had, but suffice to say there were many over the last few thousand years. The CPC, known in the west as the CCP, named the country Zhōnghuá Rénmín Gònghéguó. 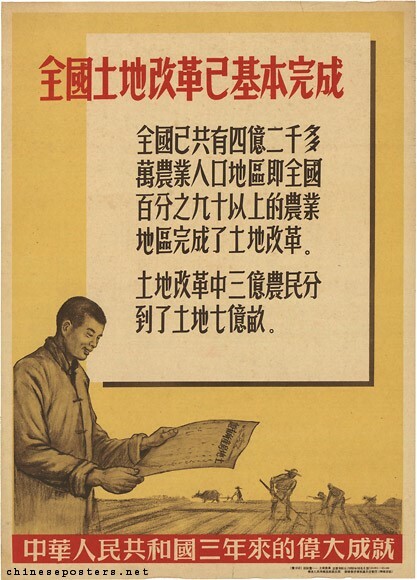 The new guys, in an effort to distance themselves from the old guys (who also were bad and, according to Mao Thought, dumb), made it clear that the Middle Kingdom was now the Middle Kingdom People's Republic. The west, refusing to call the Middle Kingdom the Middle Kingdom, changed that to the People's Republic of China. In all honesty, it is baffling to me that we're all still collectively referring to China as China, seeing as Zhōngguó really isn't that hard to pronounce - and, if we're collectively unwilling to pronounce hard and different languages, I'm all for moving towards calling them the Middle Kingdom. The Middle Kingdom really just sounds a lot better, and it's also literally what they call themselves. If you genuinely don't care at this point, I've failed in what I thought to be a fairly simple mission. With all the hubbub surrounding the rise of China, it seems that we still don't take the Middle Kingdom seriously. If the west is unwilling to know - or incapable of knowing - the most basic facts about what is shaping up to be the most important nation of the century, we're probably fucked. If the west is unable to understand the name of a place, how can it hope to understand the actions of that place? This is just the first of what will likely be quite a few short posts on the Middle Kingdom. Hope you liked it.